TORONTO, ON – Bellwoods Brewery has announced the release of a limited edition beer that is returning after a brief appearance at last year’s Cask Days festival. What originated as an experimental cask has blossomed (much like a cherry tree, no?) into a favourite around these parts. Rich, fruity, and so so smooth, 3 Minutes to Midnight is the perfect night cap on these cooler evenings. Pair it with chocolate [anything] for guests and you’ll have everyone thinking you’re some kind of gourmet magician. It’s like a facelift for food. And we don’t even put MSG in the grain bill! 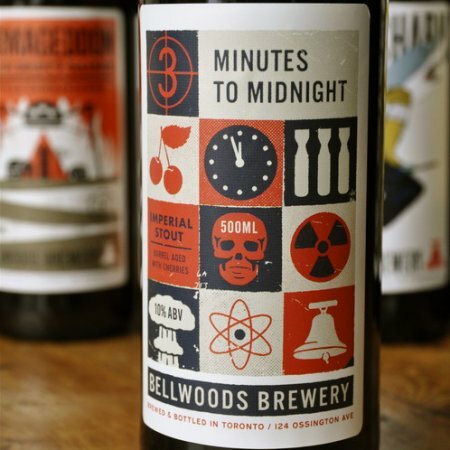 3 Minutes to Midnight is available now on draught at the Bellwoods brewpub and in a limited run of 500 ml bottles at the adjacent retail store.